Flowers and glitter are fun too but it is nice to try different styles. 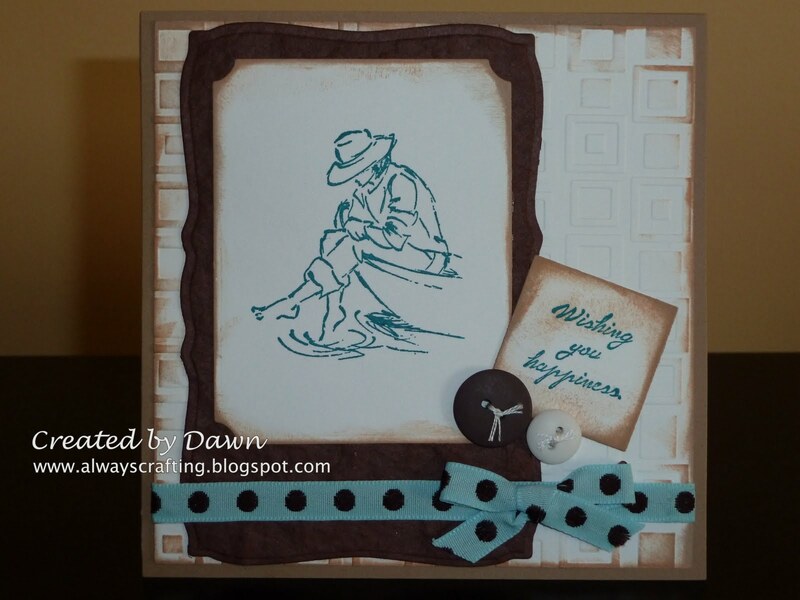 This card is perfect for a Father's day card especially for a Dad that loves to go fishing. wonderful masculine card! Great textured background! Thanks for playing the Crafty Creations challenge and for your interest in the DT position!